Tokunation › Super Sentai › Denji Sentai Megaranger Complete Series DVD Set Announced! 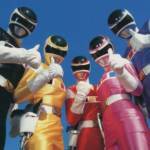 Denji Sentai Megaranger Complete Series DVD Set Announced! Our friends over at Shout Factory(and Power Rangers Now) have just announced the latest Super Sentai series to hit state side with the release of the Denji Sentai Megaranger Complete Series DVD set. 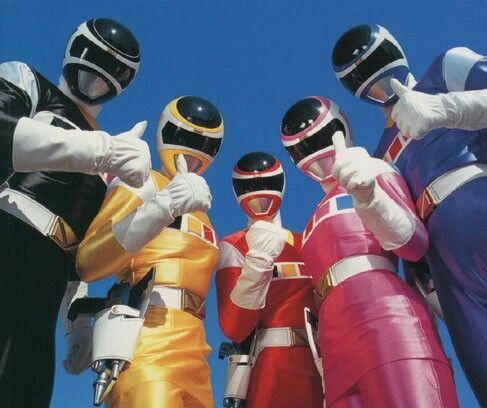 First airing in 1997, Denji Sentai Megaranger is about Kenta Date and his classmates fighting against the evil Nezireija preventing them from conquering this reality, the show was later used as the basis for Power Rangers In Space in 1998. The Denji Sentai Megaranger DVD Complete set will be released on August 15th retailing for $42.99 US according to a listing on Best Buy’s website. Official cover art has yet to be released but stay tuned and we’ll bring more up to date info as it becomes avalaible. Wow. I knew it was coming but not this quickly. I'll probably preorder it within the next few weeks or so. Well that was quick and unexpected. And in August? Wow. I hope this means we will see another release sooner rather than later. I also hope them announcing it already means the DVDs are selling well. I forget the name for the Sentai that was Lost Galaxy but that's one i want very much.